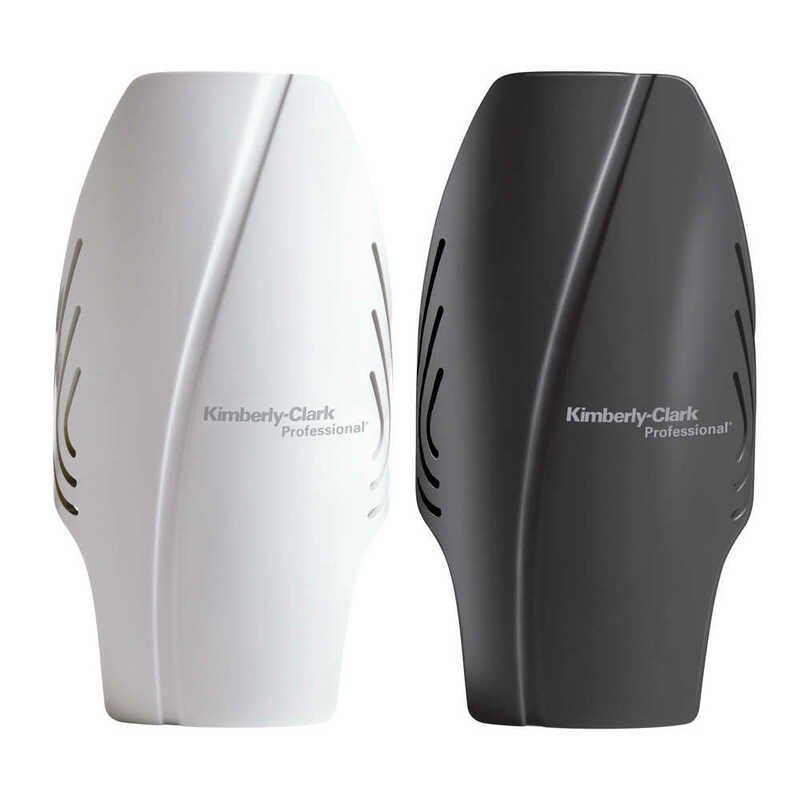 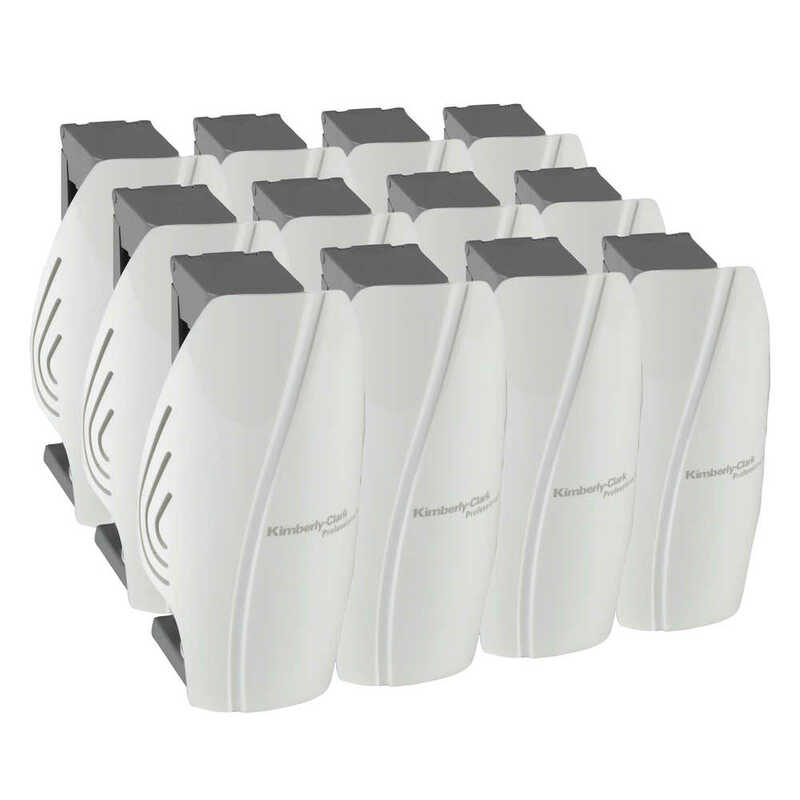 2.75" x 5.0" x 2.4" 2.8" x 5.0" x 2.4"
You want your washroom to always smell fresh, and the Scott Automatic Air Freshener Dispenser from Kimberly Clark Professional helps make it effortless. 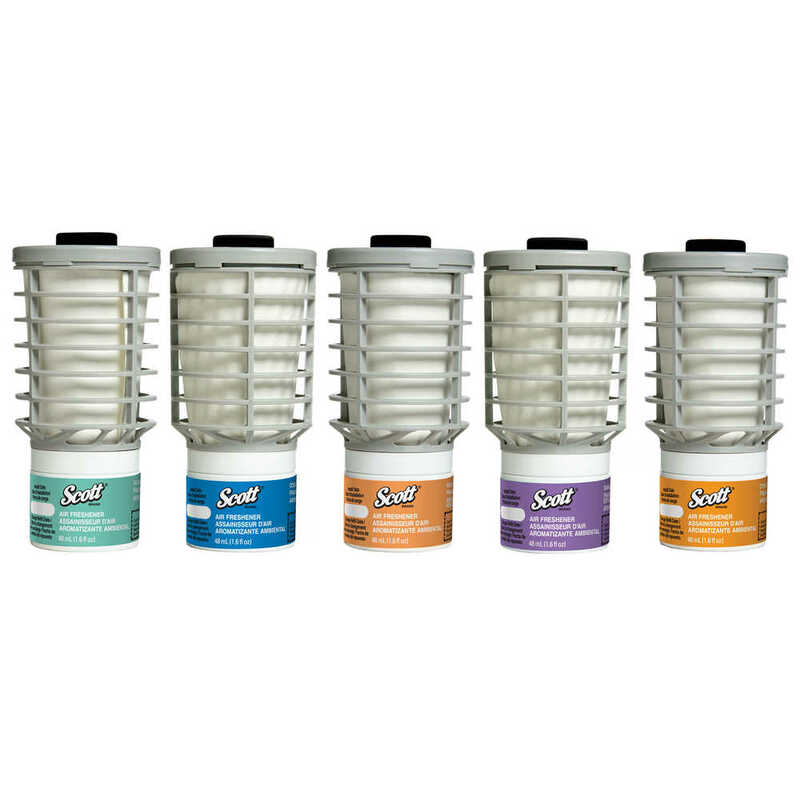 The dispenser holds a refillable canister of continuous fragrance – in five Scott Brand scents including Summer Fresh, Citrus, Natural, Mango and Ocean – which gradually dispenses consistent, pleasant air freshening, with no batteries required. 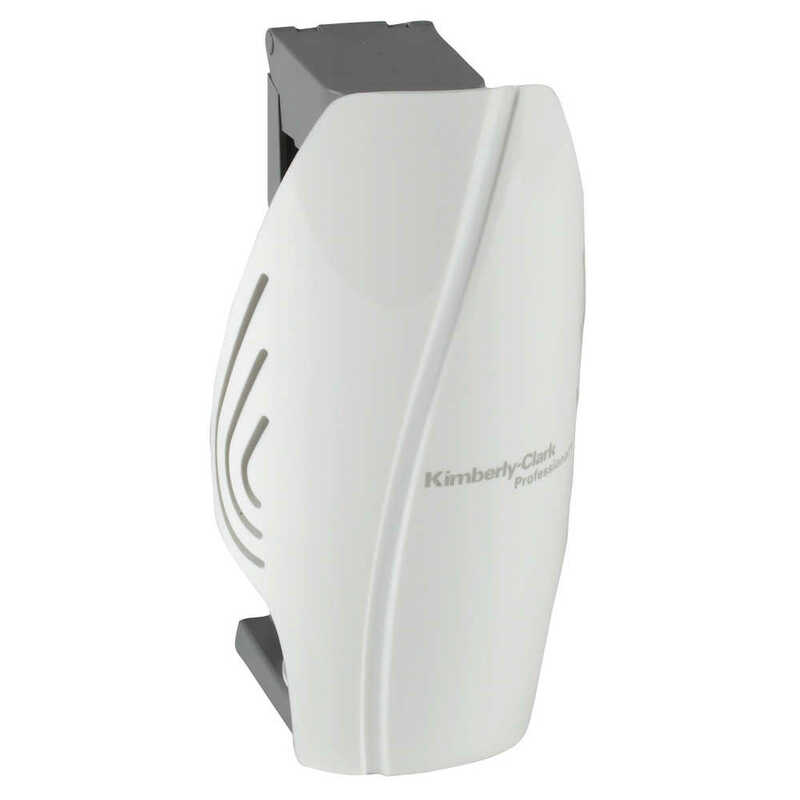 The small, unobtrusive wall mounted dispenser (2.8" x 5" x 2.4") is great for a range of environments – from small businesses' washrooms to big, industrial or commercial spaces. 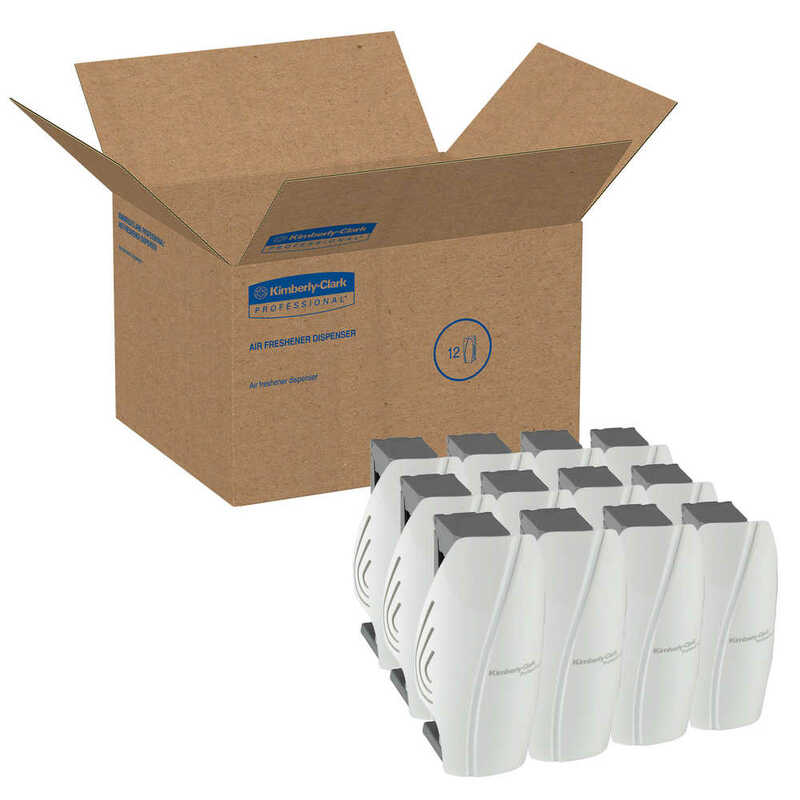 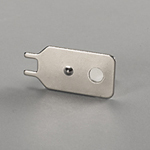 Each easy-to-install cartridge lasts up to 60 days without refilling, so you can put it in and forget it. 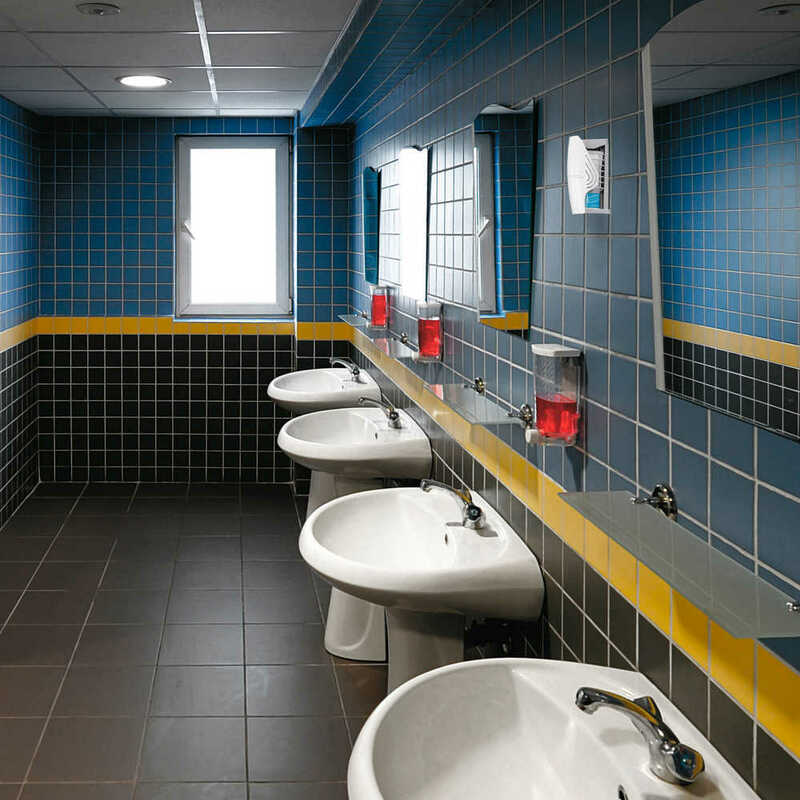 Providing a fresh-smelling washroom can really boost your business' image and keep guests and employees comfortable.